As designers, we sometimes find ourselves on a knife edge between user needs and business goals. It can be tempting to fall back to “dark patterns” - processes designed to trick users - because they are a shortcut to results. However, the use of dark patterns isn’t conducive to a good night’s sleep. Most of us want to find solutions that don’t resort to deceiving users. 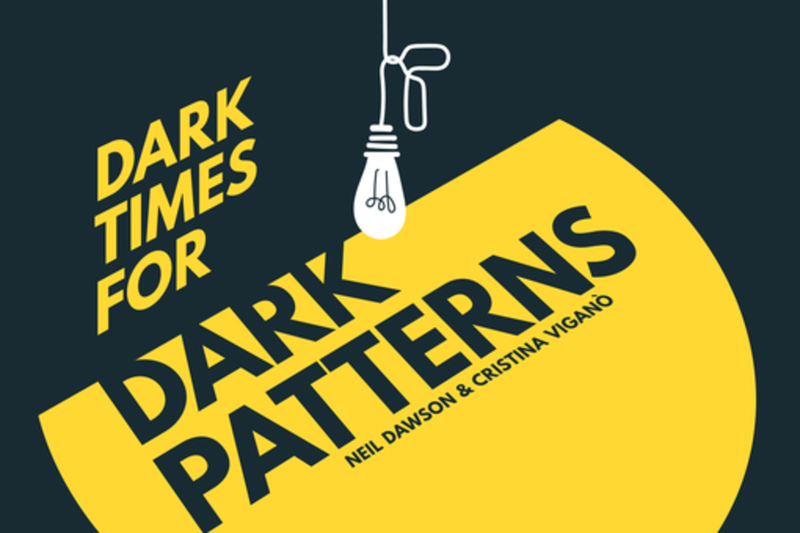 This talk will explore alternatives to infamous and common dark patterns, with a focus on how we can use psychological principles and persuasive design techniques to meet goals through encouragement rather than deception. With an MA in Cognitive Science and Experimental Psychology from the University of Padua, and a BA in the Science and Techniques of Psychology with the University of Milan, Cristina's fascination with the human mind, usability, and human-computer interaction helps her to establish special understanding of user needs and desires. Neil is a user experience designer who cares about openness and ethical behaviour in user centred design. He recently moved to AnalogFolk from Cyber-Duck, where his award winning work included ‘UX Companion’, a handy glossary of design principles and tools for iOS and Android. Outside of work, Neil is an enthusiast of science fiction, comics, and guitar, on a mission to discover London’s best BBQ brisket.